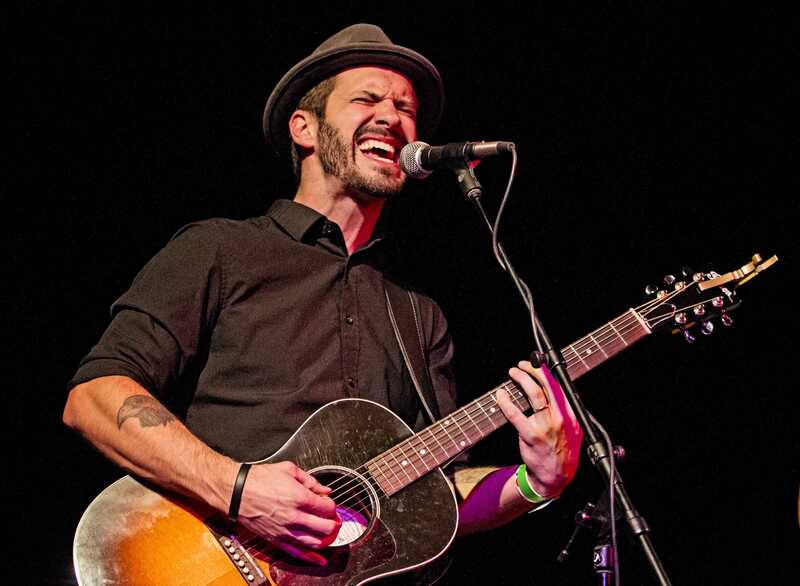 Born in Pontiac, Michigan, singer-songwriter Tony Lucca is taking the music world by storm. Starting his career as a member of “The Mickey Mouse Club,” Lucca gained mainstream attention after becoming the second runner-up on the NBC singing competition show, “The Voice.” He has released seven studio albums, five EP’s, and has toured with the likes of *NSYNC, Marc Anthony, and Sara Bareilles. Lucca had an on-and-off relationship with actress Keri Russell for eight years, but is now married and living in Detroit with two kids. Michigan born singer/song writer Tony Lucca recently completed the Keys, Strings and a Band of Kings Tour with fellow singer song writer Brendan James. The tour made a stop on Nov. 10 at the Magic Bag in Ferndale, Michigan. After signing onto Maroon 5 front man Adam Levine’s record label, 222 Records, Lucca’s latest six track EP, “With the Whole World Watching” has been released. Mixing folk and rock, Lucca’s music evokes the spirit of Rob Thomas, Jason Mraz, and even a bit of Paul McCartney. The opening track, “Never Gonna Let you Go,” begins with a simple acoustic chord progression, then evolves into a face-paced rock song with the drive of a U2 hit. The next song, “Reckless Love,” is a steady “anti-love” song with heartbreaking layers of strings. The third song, “Wasted,” is quite similar to the previous song in lyrical content, but with more of a John Mayer feel to it. It is a funky pop-rock tune with a strong tempo and a great vocal performance. Next comes “One in a Million,” another hard-hitting rock tracks with a heavy groove; something Lucca’s music excels at. The closing track, “Hear Ya Say” has the soul of an Al Green record and the drive of Aerosmith. “With the Whole World Watching” is the kind of album every up-and-coming artist should strive to produce. The music is energetic, contagiously catchy, and inspired. While the style and composition is not the most original, Lucca embraces folk, classic-rock, and soul in an enjoyable EP sure to get its listener’s toes-tapping.